The FIELD 4HD semiautomatic wire feeder is ideal for field or construction use. Since it is powered across the arc, no control cables are needed! Simply connect the weld cable, attach the arc sensing clip, and you’re ready to go. 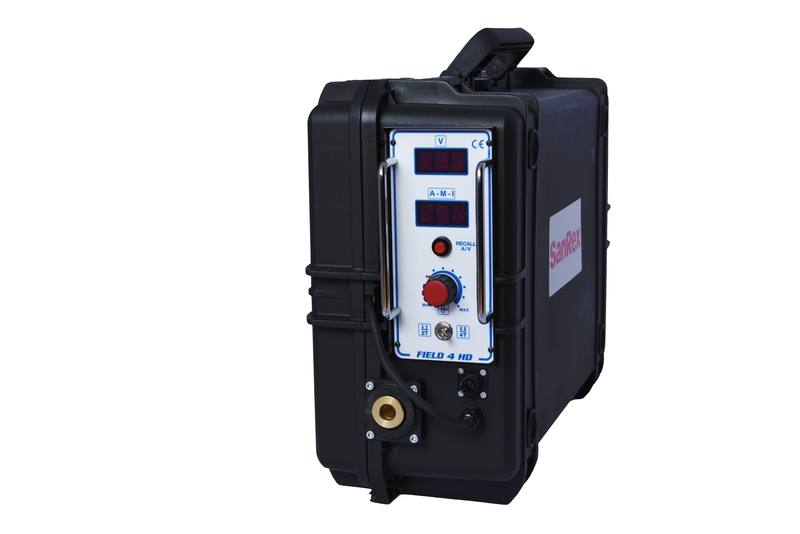 This portable MIG and flux-cored wire feeder comes in a fully enclosed case to protect against damage on the job site.The FIELD 4HD features TWECO® gun connection, digital meters, large 4 driven drive roll system and it accepts 10-44 lbs. (4.5-19.9 kg) wire packages for plenty of welding versatility.